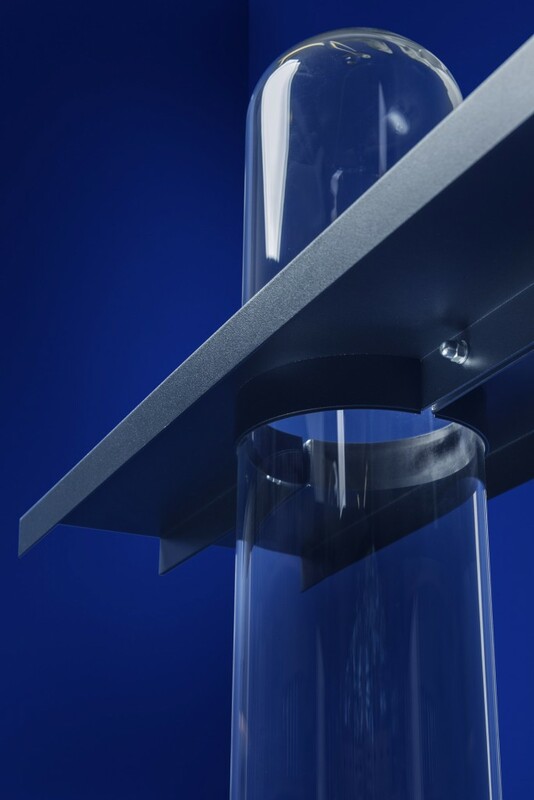 The unexpected strength of glass is key for this project. 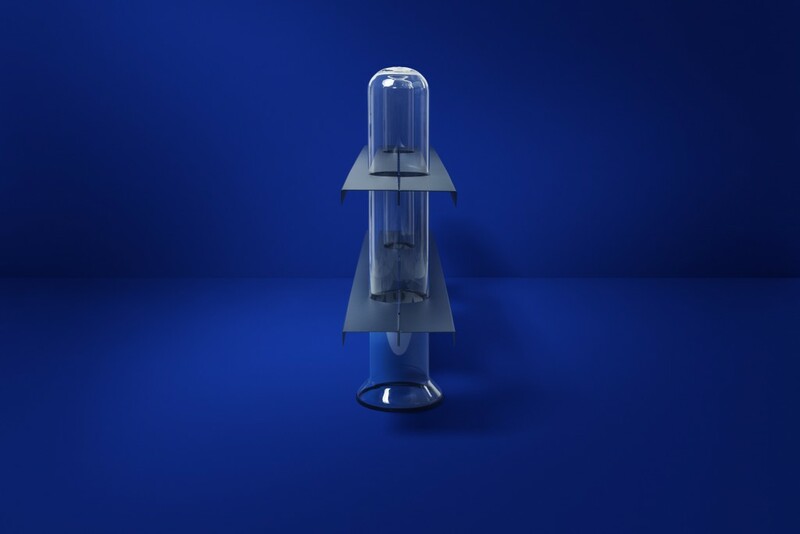 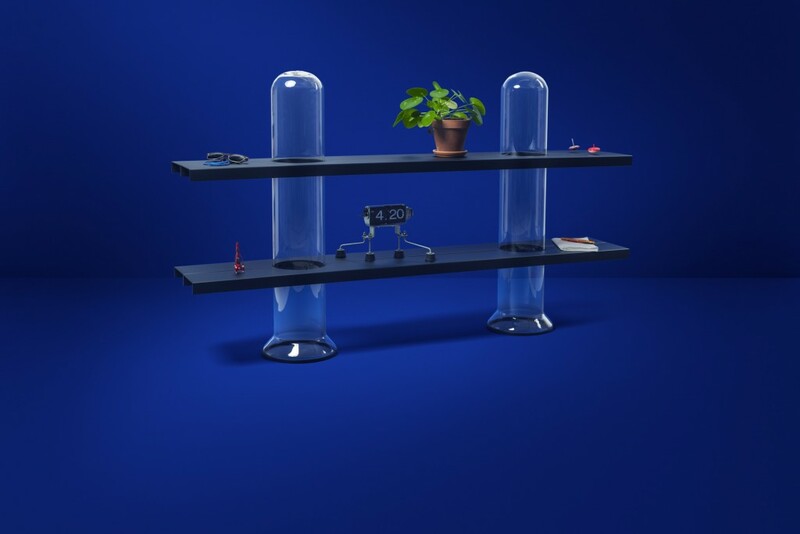 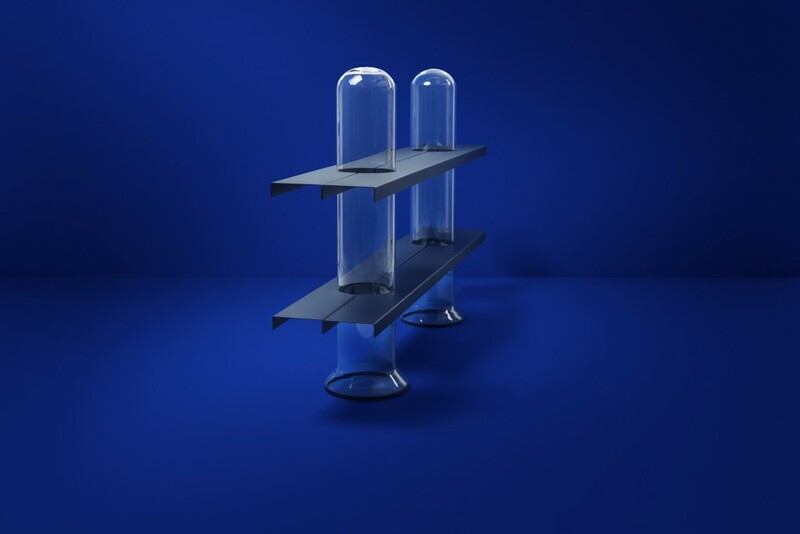 The GLASSLAB CABINET is born by experimenting with shapes, constructions, connections and types of glass. 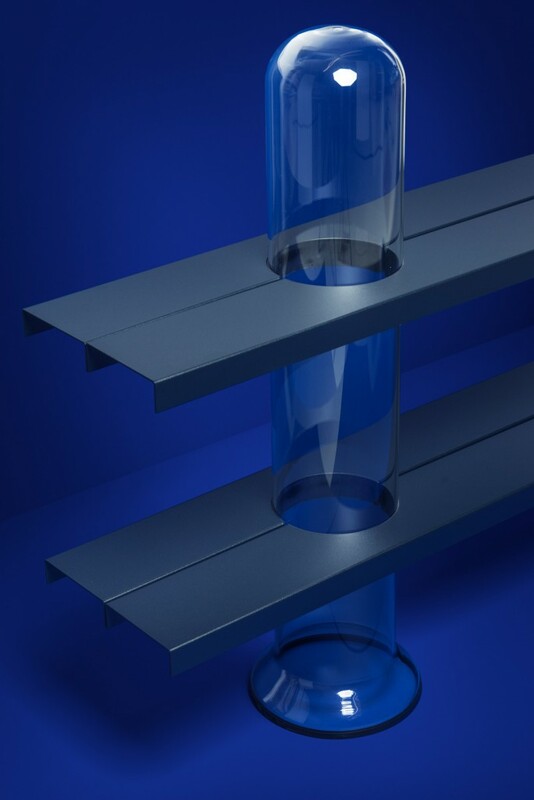 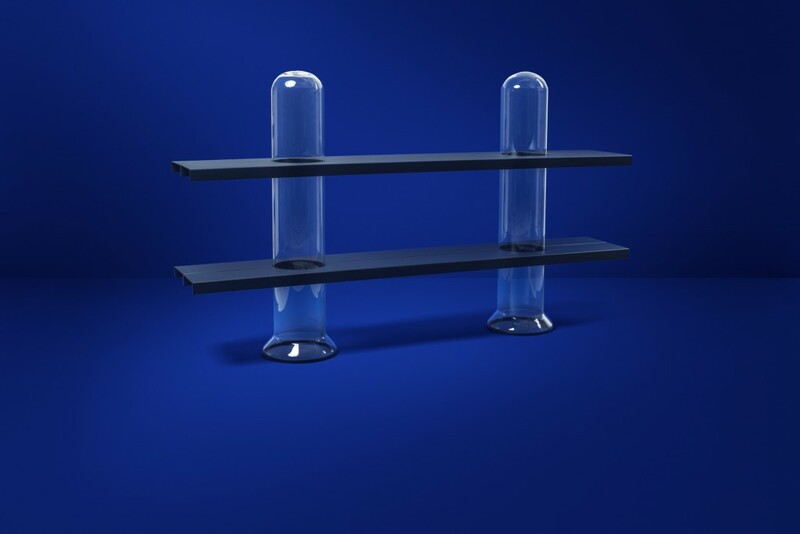 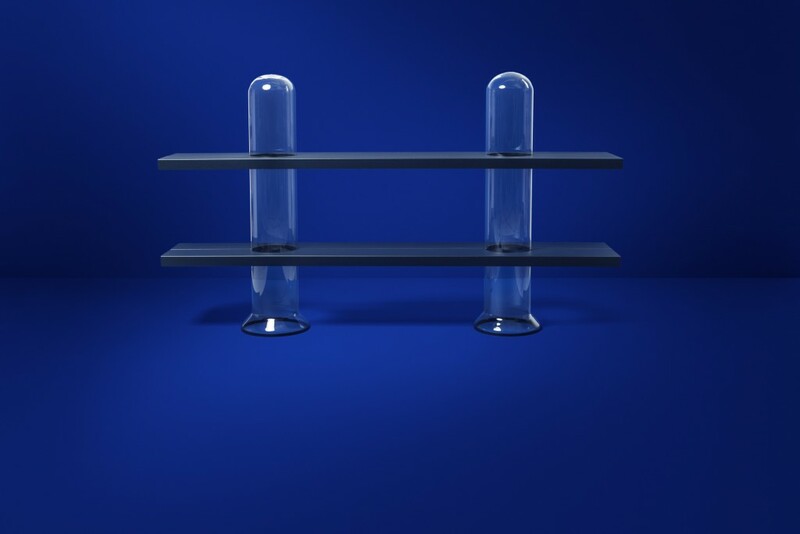 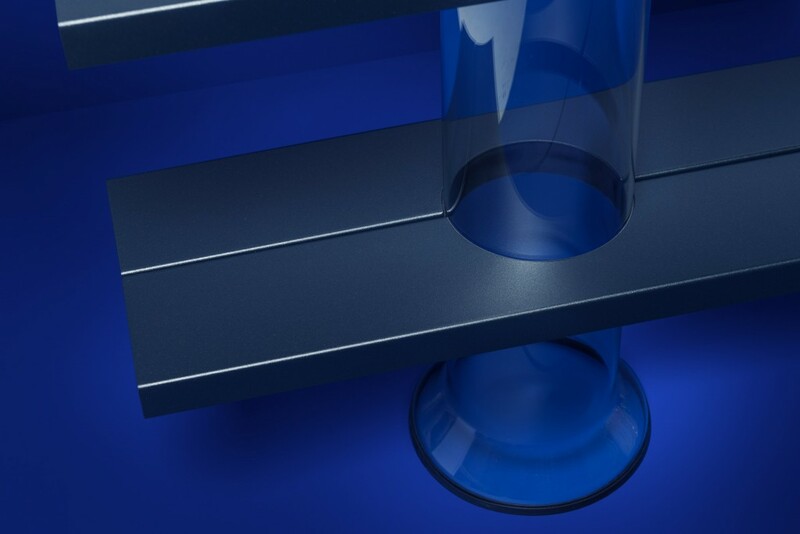 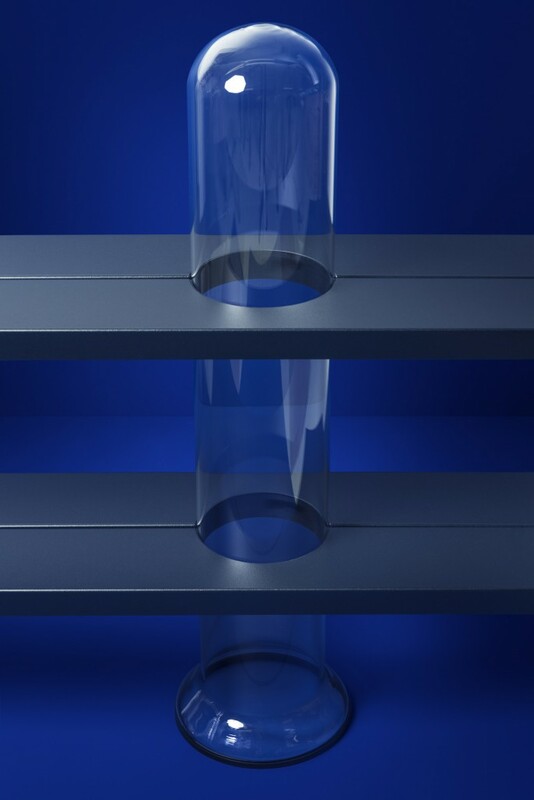 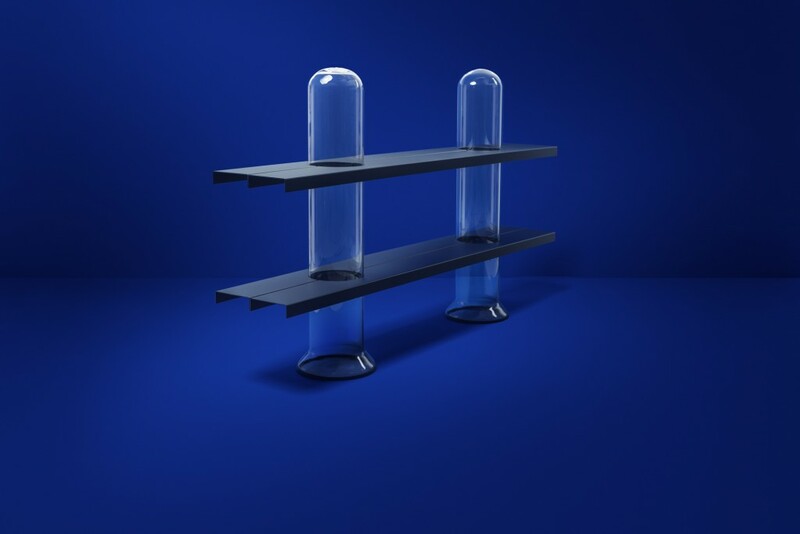 The glass pillars are the carriers for the metal shelves who are clamped on the glass. 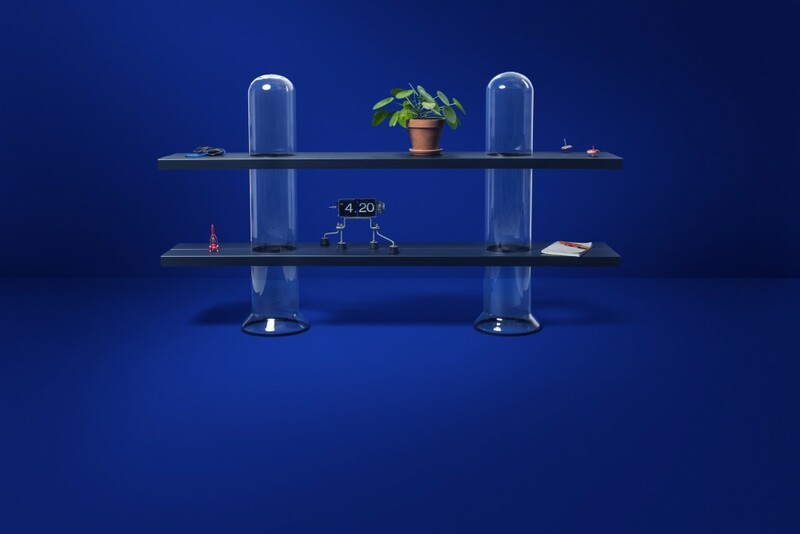 Job van den Berg plays with the contradiction between the distrustful and fragile sense of glass combined with the actual constructive strength.